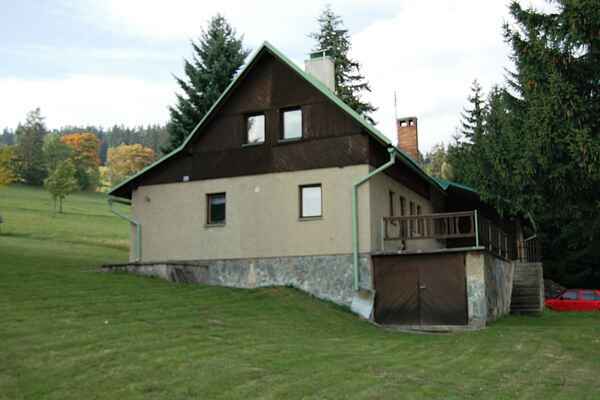 Holiday home JAHODA 1 is located in the middle of the Krkonose Mountains, on the outskirts of the municipality of Vitkovice, 12 km north of the city of Jilemnice. You'll stay in a terraced house, in a quiet spot, 800 meters away from the well-known skiing centre of Aldrov. The house offers beautiful views of the Krkonose Mountains. In summer, the holiday home makes a perfect base for many trips. You can start some wonderful walks through the western part of the Krkonose Mountains directly from your home. The source of the Elbe river lies in a higher part of the Krkonose Mountains and is well-worth a visit. There's a chair lift in Rokytnice. A day trip to the famous centre of Špindlerův Mlýn comes highly recommended, too. The hotel also hosts a good restaurant which is a great place to eat. For children, there is plenty of room to play in and around the house. Holiday home JAHODA 1 is perfect for a family holiday.